We are excited to share Paper360 in a new and improved format! 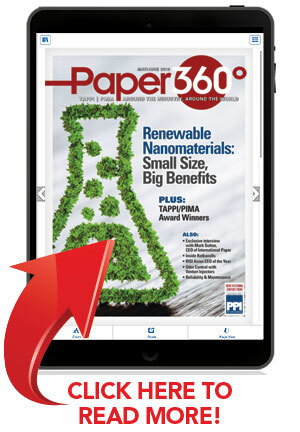 The May/June issue of Paper360 is now available on a fully interactive platform optimized for mobile reading. That means whether you are at your desk or on the go, your magazine is easy to access and even more comfortable to read. Still a fan of the digital flipbook? Our new platform also provides a page view of the magazine. You have the ability to switch between either view whenever you like by clicking on the “reading view/page view” button in the toolbar.